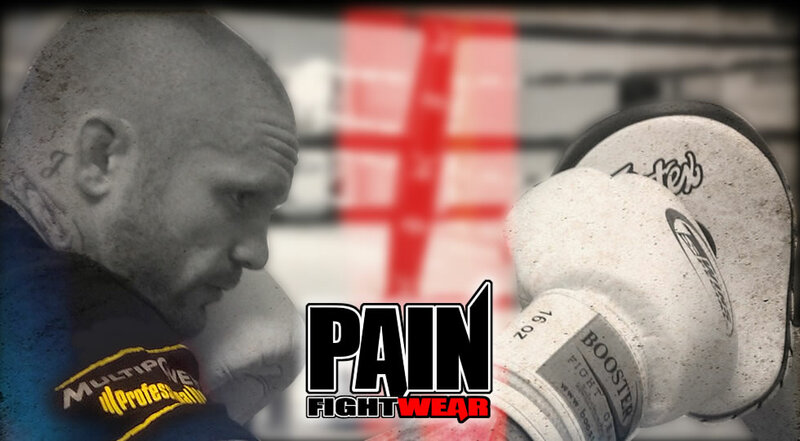 PAINFIGHTWEAR OFFERS A RANGE OF CLOTHING INCLUDING T-SHIRTS, HOODIES, HEADWEAR, JOGGERS AND RASHGUARDS, MADE FROM TOP QUALITY MATERIALS AND HAVE BEEN RIGORIOUSLY TESTED IN THE GYM FOR DURABILITY AND WITH A SELECTION OF PRINT AND COLOUR STYLES FOR MEN WOMEN AND KIDS THAT ARE ALL PRINTED IN THE UK NO ONE HAS TO MISS OUT. PAINFIGHWEAR FOR ALL PRINTING NEEDS WE HAVE PRODUCED FIGHT BANNERS FOR THE LIKES OF DAN HARDY, JIMMY WALLHEAD, PAUL DALEY & MANY MORE. WE ALSO OFFER PRINTING FOR WALKOUT TEES AND SHORTS, OUR'S HAVE BEEN USED IN THE UFC, BAMMA, BELLATOR, UCMMA AMONG OTHERS AND OURS ARE GUARANTEED NOT TO PEEL AT FIGHT TIME. WE ARE PLEASED TO BE ABLE TO OFFER BOOSTER FIGHTGEAR TO YOU WITH THERE NEW PRO RANGE HITTING THE MARKET WITH BOXING GLOVES, MMA GLOVES, SHINGUARDS AND HEADGEAR AND THERE OWN RANGE OF SHORTS AND CLOTHING ALL MADE IN TOP QUALITY MATERIALS IN THAILANDS TWINS FACTORY. A RANGE OF TWINS PRODUCT WILL ALSO BE AVAILABLE IN STORE AS BOOSTER IS THERE EURO DISTRIBUTOR.